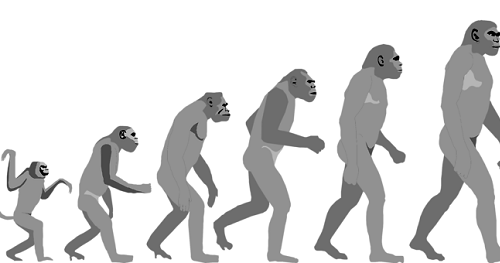 Evolution: the change in the heritable characteristics of biological populations over successive generations.Evolutionary processes give rise to biodiversity at every level of biological organisation, including the levels of species, individual organisms, and molecules. Repeated formation of new species, change within species, and loss of species throughout the evolutionary history of life on Earth are demonstrated by shared sets of morphological and biochemical traits, including shared DNA sequences. These shared traits are more similar among species that share a more recent common ancestor, and can be used to reconstruct a biological "tree of life" based on evolutionary relationships, using both existing species and fossils.